Proper packing is important to ensure that your items arrive at your new home in the same condition they left. Additionally, we cannot move small items that have not been packed. 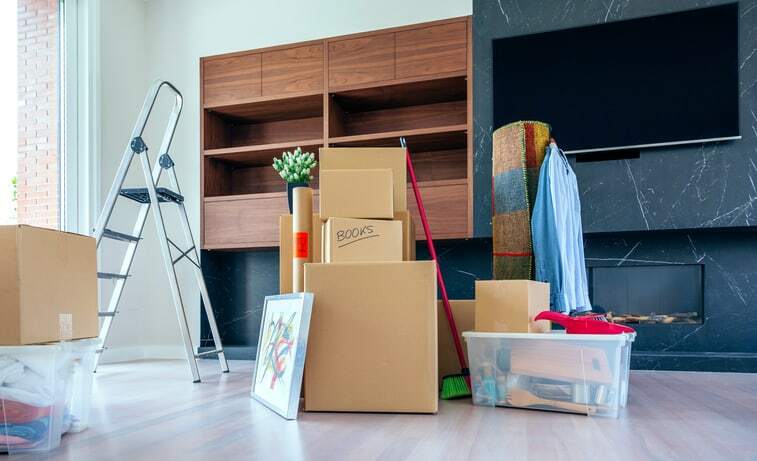 Items often overlooked at packing time are table lamps, décor, wreaths, small pictures and mirrors, electronics, and small miscellaneous items. A good general rule of thumb is ”If it fits in a box, it should be in a box”. The crew cannot secure small, loose items on the truck, so having them packed ahead of time will ensure they are able to be moved. Please be aware that our insurance does not cover items packed in boxes by the customer, so it is important to pack as well as possible. Here are a few more packing tips to make your moving day go more smoothly! Start with out-of-season items and things that are not frequently used. Leave until last the things you’ll need until moving day. Clothes, blankets, and other soft items may be left in dresser drawers. All hard or breakable items must be removed, and desks, nightstands, and cabinets must be emptied. Moving company packers use a dish pack — an exceptionally sturdy corrugated carton of double- wall construction — for china, glassware and other fragile items less than 18 inches in size. Wrap sugar bowl lids in tissue, turning them upside down on top of the bowl. Then, wrap both together in clean paper, followed by an outer double layer of newspaper. Wrap cream pitchers in clean paper and then a double outer wrapping. Place sugar bowls, cream pitchers, sauce containers and similar pieces upright in the carton. Complete the layer as for plates. Because air causes silver to tarnish, all silver pieces should be enclosed completely in clean tissue paper or plastic wrap. Bowls, tea sets, serving dishes, etc. should be wrapped carefully as fragile items and packed like china. Loose flatware may be wrapped either individually or in sets in clear plastic or tissue. Many moving companies use a material called bubble pack (plastic with bubbles) for exceptionally fragile items. If an item is extremely valuable or delicate, it might be wise to have it packed for you. Special materials might be needed for maximum protection. Never wrap lamp shades in newspaper. Carefully wrap each shade in three or four sheets of tissue paper, a pillowcase or a large lightweight towel. To allow for movement, use a sturdy carton at least two inches larger all around than the largest shade. Line it with clean paper, using crushed paper under the lamp shade to create a protective layer, but not around the shade. A small shade can be nested inside a large one, if you are sure they will not touch. Only one silk shade should be placed in a carton to avoid stretching the silk. When you are ready to schedule your move, fill out our Free Estimate form!